The Code Enforcement team helps maintain and improve the quality of San Francisco's neighborhoods by operating programs that ensure public compliance with the City's Planning Code. The team responds to customer complaints of potential Planning Code violations and initiate fair and unbiased enforcement action to correct those violations and educate property owners to maintain code compliance. 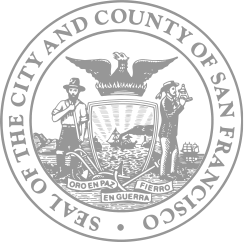 To ensure citywide code compliance, the Code Enforcement team works with residents, neighborhood associations, and other City departments, including the Department of Building Inspection, Police Department, Department of Public Health, and the Office of the City Attorneys, in order to ensure the quality of San Francisco's neighborhoods. Each year, the Planning Department responds to over 500 inquiries pertaining to potential land use violations. In most cases, investigation of code violations happens when a citizen reports a potential violation. Examples of violations include construction/demolition, landscaping maintenance, building misuse and inappropriate parking. by using 311's online complaints resource.